....and clear out of clutter. 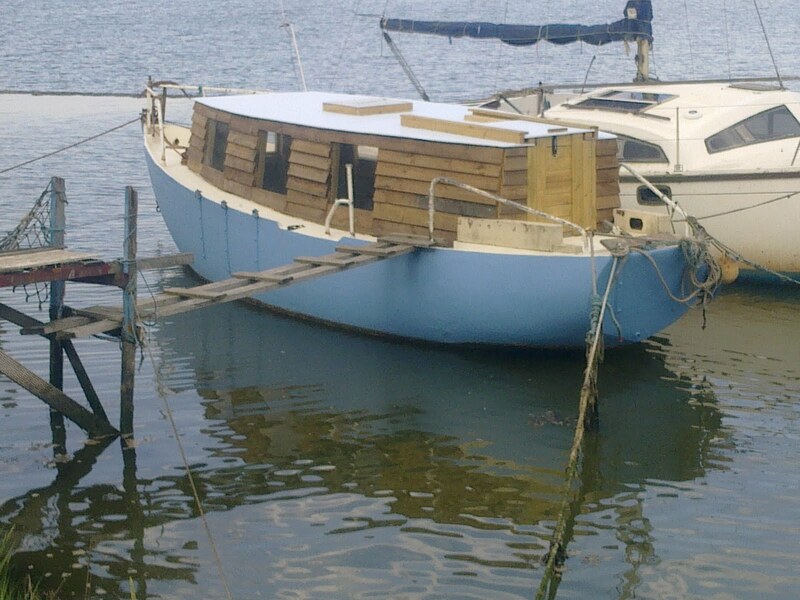 Just a few details to paint, the stanchions, pushpit, pulpit and cockpit coamings, which will be magnolia too and will bring the deck colour up into the body of the boat. The colour on the roof is 'dolls house blue', magnolia on the decks and a self mixed blue on the hull using a white Sandtex with a medium dark blue at 2:1. Sandtex is sold in 5 litre lots and is much cheaper in white, £18 instead of £35 but you have to add the cost of the tint colour, about £12, although you end up with 7 litres so it is a cost saving and the left over white can be mixed with other colours. I've become a fan of that old classic 'magnolia', a lovely tone.